Design your own Spa! Please chose up to 3 workshops to leave time for personal attention stations and relaxation. Workshop sign-ups are on the registration page. ​author of Born to Create, Cultivating Kingdom Creativity, and the Create Supernaturally Series, is on pastoral staff at Bethel Church in Redding, California. Theresa’s passion is to empower others to walk in supernatural power and transform the world through creative expressions of God’s presence. Many people have been hurt through an experience with an authority figure, a friend, or a family member. These encounters have caused trauma which has hindered our lives. Through Create to be Free, you will have healing encounters that will bring freedom and wellbeing so that you can live your most abundant life. Create to be Free is a six part interactive curriculum that walks you to emotional healing through art. Creating art can access places in our hearts that have become stuck. As we create, we let go of pain and let God begin to heal us. Each Session includes teaching, guided practical application including therapeutic art activation, intimate healing connection with God, empowering declarations, plus reflection and response questions for journaling and discussion. Please plan to join us for this life transforming series. Upon Registration you will be given a complete list of simple supplies needed for the course. (Water colors, paintbrushes, journal, etc) We will have supplies available, but most people enjoy having and using their own. We are offering our Tree of Life Ministry School training as our Mid-week service. This will be the same curriculum we offer through our ministry school. It will be open to all but free of charge to our Marina Transformation Center family. 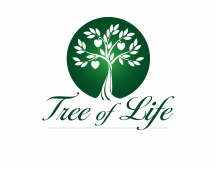 For non-Tree of Life folks we are asking a $10.00 love offering each week for materials etc. This is perfect for those who have wanted to attend the school but the timing or finances haven't worked out. Don't have the $15.00? Come join the Tree of Life Marina family and attend for free! At this time childcare will not be provided for the Thursday night service. We hope to be able to do so in the future. If you would like to help with childcare please contact us. Thanks!